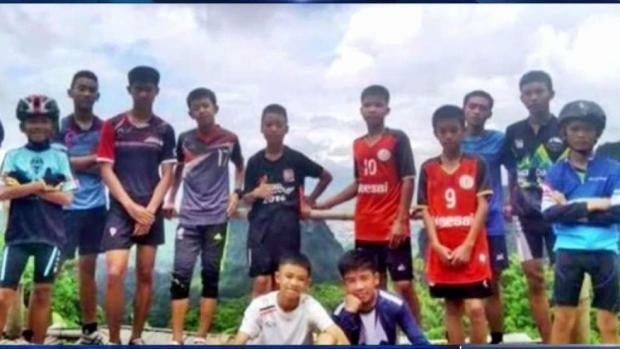 Now that the 12 members of the youth soccer team rescued from a cave in northern Thailand have been released from the hospital, filmmakers struck by their story are already lining up to make a movie about the group's 18-day ordeal and the mission to save them. If they want the movie to be a blockbuster, they'll need to get at least one of the people involved to sign away their life rights, experts say. The process can take weeks or months, but it's critical for filmmakers to gain insight and wide-ranging creative control. Two entertainment attorneys who work on life rights explained that, when they're signed away, they give filmmakers exclusive rights to a person's story and the ability to use their image in promotional materials. The subject of the film gets paid, sometimes a lot of money, but they aren't able to sue if they don't like the way they're portrayed. That was an issue in the dramatization of another major rescue: the Chilean miners trapped by a cave-in. "You're giving up your right of publicity," said Domenic Romano, a New York-based entertainment attorney. "You're giving up your privacy right, and you're also basically giving up your right to sue for being misrepresented or defamed in some way." Still, in exchange for life rights, subjects can receive millions of dollars, depending on demand and competition, Romano said. Signing the contract also brings an understanding that the subject will consult with producers, give access to photos and other related documents and participate in an interview. The contract usually gives producers a "wide magnitude of creative interpretation," Romano added. Movie producers can still make a movie about the Thai cave rescue based on media reports and descriptions without any of the subjects' rights, since those reports are in the public realm. But without life rights, they can't use anyone in promotional materials or get access to photos or background information, the attorneys said. It's not hard to see why filmmakers would scramble to make a movie about the Thai Cave resuce. 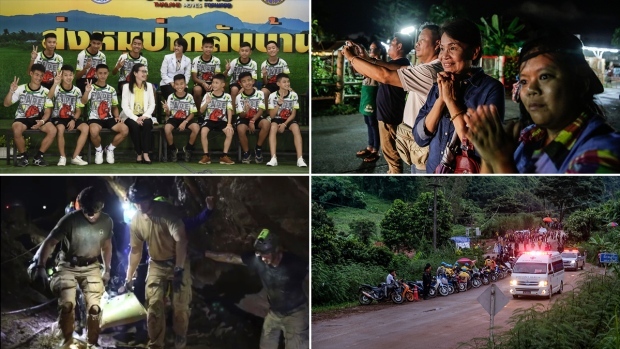 The story riveted the world once the boys were found alive after more than a week stuck in the flooded cave in Chiang Rai. It took a massive, international effort to free them through the long, narrow passage, with one diver losing his life in the effort. And divers involved have said that the operation was far riskier than they let on at the time. During a news conference Wednesday after being released from the hospital, the 12 teammates and their coach said they were hungry and scared while trapped in the cave. "I don't care who directs it, stars in it, scores it, produces it, or key grips it... I'm 100% buying tickets to the Thai soccer team stuck in a cave movie," the country band Brothers Osborne tweeted as the boys were being freed. One of the filmmakers who is vying to bring the events to the big screen is Michael Scott, co-founder of Pure Flix Entertainment. The "God's Not Dead" producer told NBC he has started speaking to the rescue divers for his prospective movie and will talk to some of the students "at an appropriate time." Scott said that the acquisition of the boys' or coach's life rights will depend on whether they want their stories to be told and want their experiences to be made into a movie. Scott told The Associated Press that he and producer Adam Smith are talking with the participants about their life rights. "Step Up 2" director Jon Chu is also planning a film, according to Variety. When negotiating life rights, contracts with subjects are negotiated early in the process, the attorneys said, so that companies can use them as a fundraising tool — with exclusive access to a person's story, a producer may be able to get more funding to have it made. But if filmmakers are unable to raise enough money to make the film, the subject who signed the contract may be able to pursue a deal with another filmmaker. Los Angeles-based entertainment attorney Lisa Callif said negotiations "drag on" because of monetary demands and subjects' desire to have more control over the way they're being portrayed. The soccer players are between 11 and 16 years old, so their parents would be the ones who sign a movie contract, Callif said. She added it's unlikely a single filmmaker acquires the life rights of all 12 soccer players and the coach. The process of acquiring life rights "takes longer than people want it to take and it costs more than people want to pay," Callif said. "You're talking to somebody about making a picture about their life. It doesn't get more personal than that." A filmmaker only needs to acquire one person's life rights in order to tell the story of the coach and whole team. The story would be told based on that person's first-hand accounts, and the selected person would be the only one allowed to appear in promos. The Thai team's ordeal has been compared to the group of 33 Chilean miners who were trapped underground for two months in 2010 when their mine caved in, an incident that was dramatized in the 2015 film, "The 33." After signing life rights contracts, some of the miners believed they were scammed out by attorneys, according to The Guardian. The debate centered on royalties, who held the long-term rights to the miners' diary and other information about the first few weeks the miners were trapped. The legal skirmishing went on for months, but ultimately didn't delay filming, The Guardian reported. Though Scott's film doesn't yet have a budget, production can take between 18 and 24 months, he told NBC last week. He and Smith have just started the process of looking for a screenwriter. Scott lives in Thailand for a few months each year and said his wife was friends with the Thai Navy SEAL who was killed in the rescue. "If the 12 kids and the coach come out [from watching the film] and feel satisfied, that would make Michael and I quite content," Smith said. "Various countries around the world contributed. That makes it such a global story." A spokeswoman for Chu said he isn't doing interviews about his own plans for a film about the rescue.